Present state: The station building is a private house and is fenced off from the up platform which has been rebuilt and restored as part of the Weardale Railway Project. The down platform is derelict and devoid of track. Notes: To the east of the station were extensive sidings, which included accommodation for the local coal merchant. The Wear Valley Goods, which ran twice daily from Bishop Auckland Goods yard, serviced the yard. The goods called at all stations between Wear Valley Junction and Wearhead, dropping off or picking up goods as required. Upstairs in the station house, the Directors of the NER often used to meet in the long room known as the board room. It was built for the Directors of the original railway when it termintated at Wolsingham. The sidings closed to goods 6th September 1982. 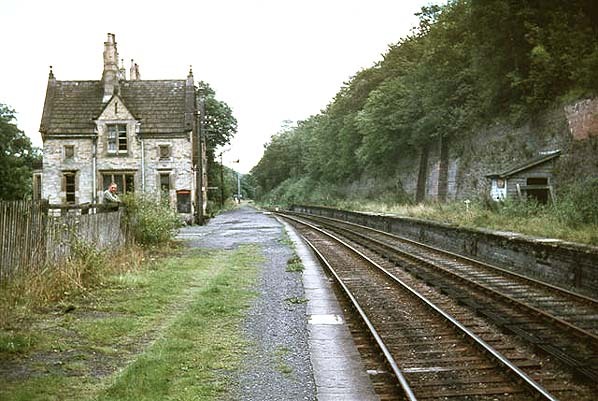 The unusual shaped signal box closed in June 1984, with both signalmen being transferred to Witton-Le-Wear. At that time with only 2 cement trains a day and a morning goods the box was only open approx 07.30 to 17.00 and only had one signal man. The other was the relief for the whole line west of Shildon. 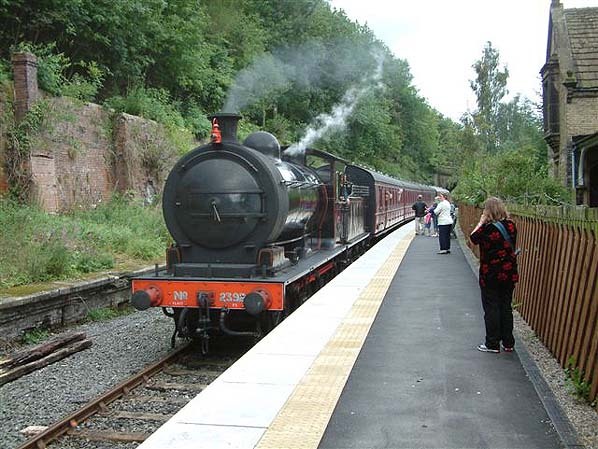 The station was reopened in July 2004 as part of The Weardale Railway Project but due to financial problems there was no service in 2005. It was in the early days of the Stockton & Darlington Railway Company, that a railway to tap the mineral wealth of Weardale was first considered. However, it wasn't until November 1843 when the Bishop Auckland & Weardale Railway was opened from Shildon Junction to Crook that any real attempt was made to penetrate the dale. The line was leased and worked by the Stockton & Darlington Railway. An extension of this line in 1845 from Crook to Waskerley was opened to serve as another outlet for the Derwent Iron Company at Consett. The section of line was originally called the Weardale Extension Railway but later under a merger with the line from Stanhope to Consett, was known as the Wear & Derwent Junction Railway. A plan to penetrate Weardale proper was covered by the Wear Valley Act of July 1845, which was to provide a line from Witton Junction (Wear Valley Junction) on the Bishop Auckland & Weardale Railway to Frosterley, with a connecting branch to Bishopley, this opened on 3rd August 1847.. In 1862 the Wear Valley line was extended to Stanhope by the Frosterley & Stanhope Railway, mainly to reach the Newlandside Estate on the south side of the town where large quantities of limestone were known to exist. 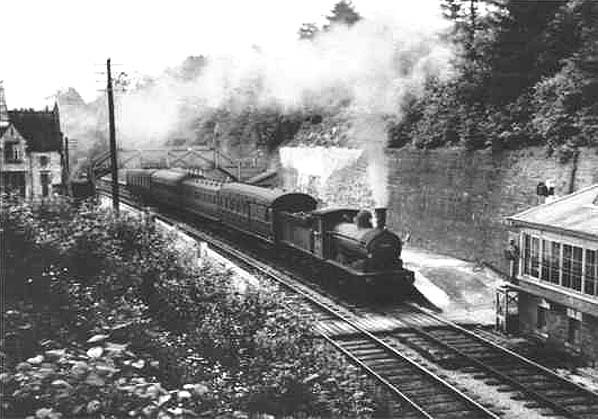 The final extension of the Wear Valley line to Wearhead was opened on 21st October 1895. 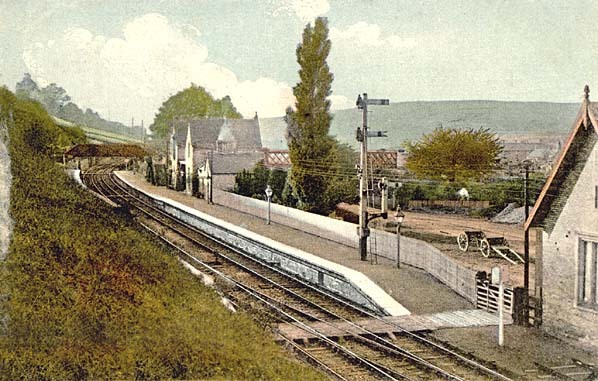 It was impossible to extend the line from the existing station at Stanhope and therefore a new one had to be built. Between Eastgate and Westgate at Cambo Keels, sidings were established to serve the Weardale Iron Company's Heights limestone quarry. This quarry is still operational today. The passenger train service survived until 29th June 1953. Up until closure, four trains per day had served the stations of Witton-Le-Wear, Harperley, Wolsingham, Frosterley, Stanhope, Eastgate, Westgate-in-Weardale, St. Johns Chapel and Wearhead. The freight service to Wearhead survived until 1961 when the line was cut back the St. John's Chapel. West of Eastgate followed in 1968, which is the present terminus. Eastgate cement works were established in 1964 and brought new life to the Wear valley line. Utilising purpose built container wagons, cement was transported mainly by rail from the plant to Teesside, Tyneside and Scotland. This operation ceased on 17th March 1993. The line which existed until 2004 was single throughout between Eastgate and Shildon. There is a connecting spur into Bishop Auckland station - the terminus of the 'Heritage Line' passenger service from Darlington. A summer only Sunday passenger train service to Stanhope operated as an extension to the Darlington service between 1988 & 1992. 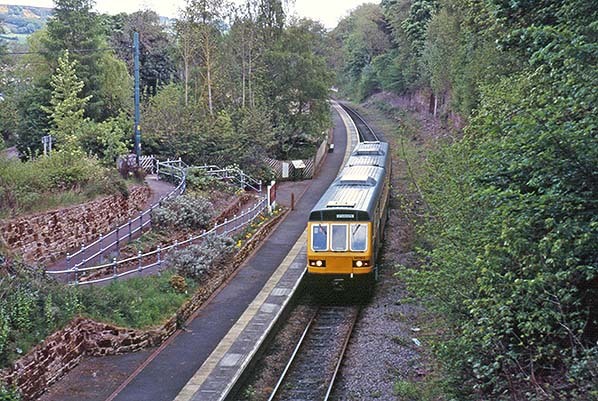 The success of this service was instrumental in reopening the station at Etherley (renamed Witton Park), in August 1991.
the reopening of the first section between Stanhope and Wolsingham in July 2004. In February 2005 Weardale Railways Ltd, the company operating the line ran into financial difficulties and it was necessary to call in an administrator. No service operated during 2005 but the Weardale Railway Project are hopeful of of a satisfactory outcome in the near future with a resumption of services some time in 2006. Wolsingham Station circa early 1950s. 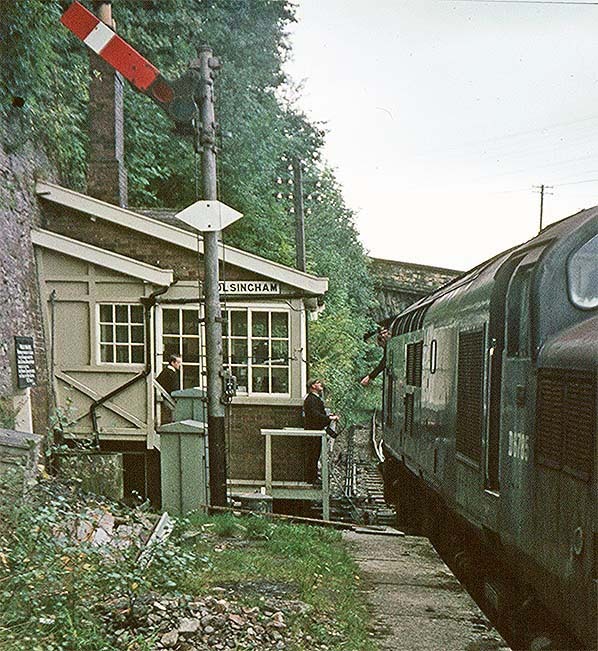 The unusual Wolsingham signal box with the signalman exchanging a token with the driver of the local goods heading up the Wear valley hauled by D6785 in October 1969. Pacer 141103 at Wolsingham station on a Bishop Auckland to Stanhope service in May 2010.